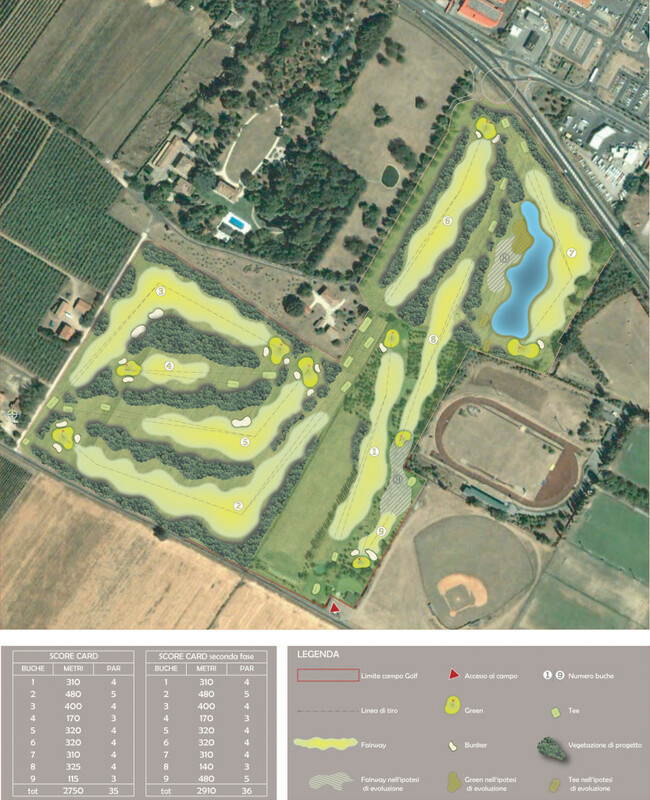 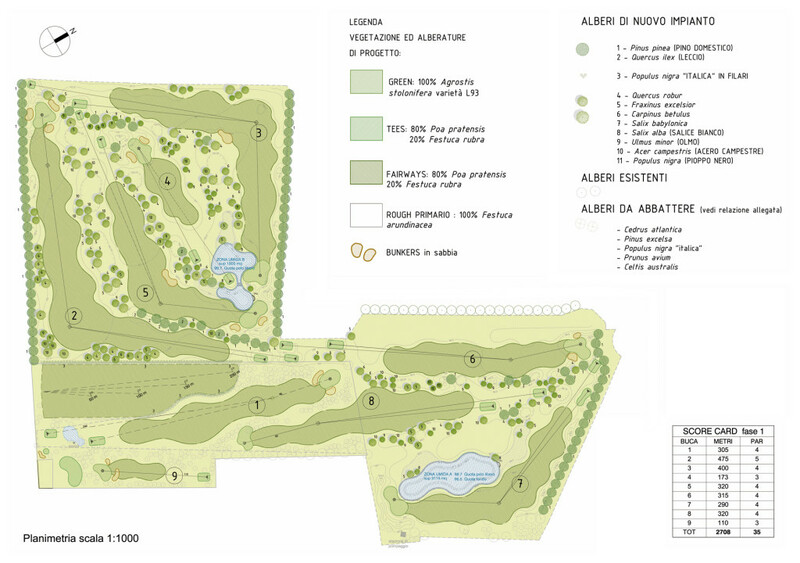 Adding 15 hectars near to the existing 4 hole par 3 course, the project has been developed in a 9 hole championship course par 35 with all standards of dimension to accomplish the Italian Golf Federation rules. 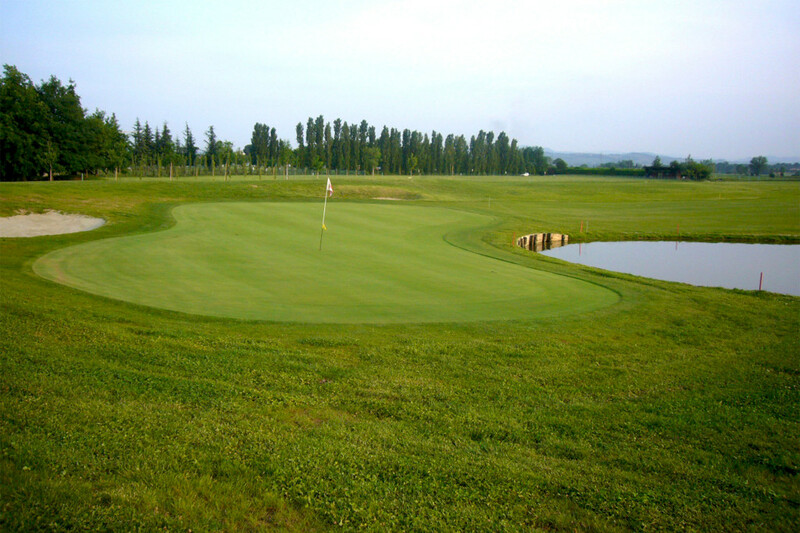 The basic design and shaping permitted to reduce the budget of construction but all the playing standards and hazards has been appreciated during pro-am tournaments and daily playing activities. 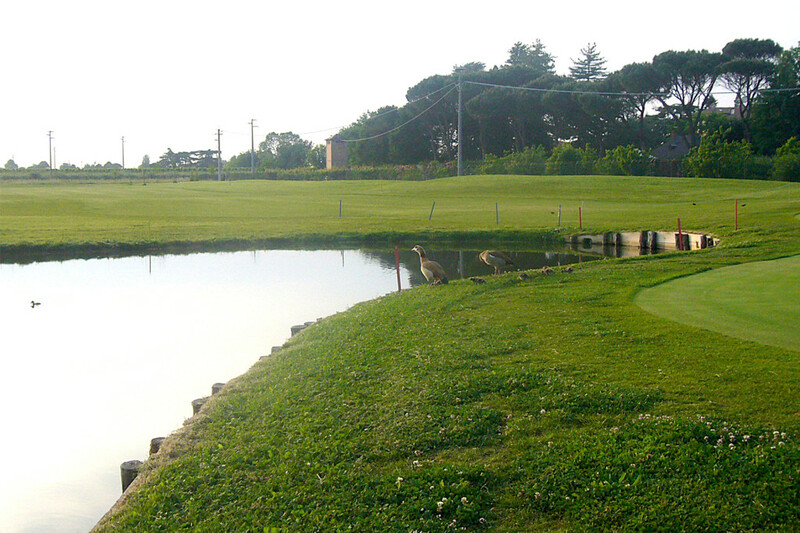 Two nice lakes connected with a cascade system served as strategic hazards, as habitat for the existing storks families and as final compliment for all the golf course drainages to implement the irrigation water reservoir. 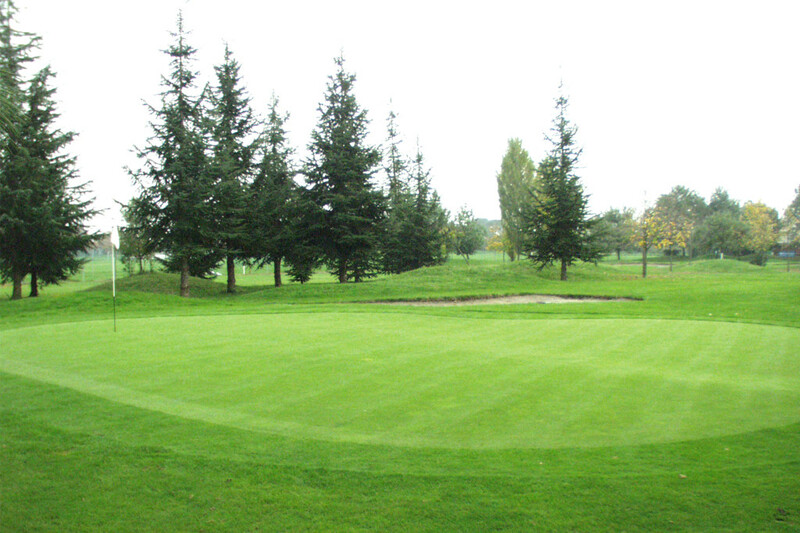 Using young plant material on a multi annual implementation program of landscaping the golf course will enhance this beauty in the future as well to establishment of the natural grass rough.